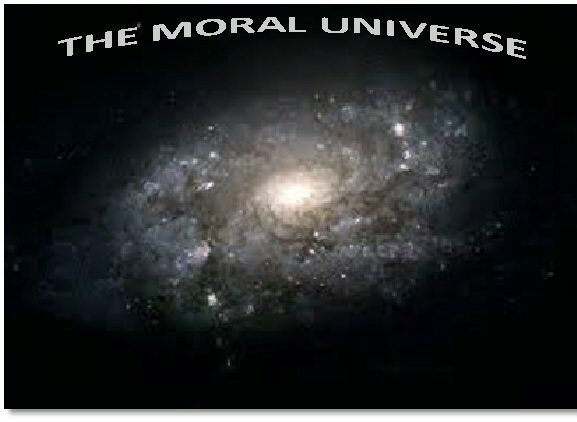 "The arc of the moral universe is long but it bends toward justice." MLK Jr.
I’ve written about my favorite theologian before in this space, but I have to do so again. Because no matter whether I’ve heard or read Howard Thurman’s wisdom before, it zaps me in new and different ways upon second or third or even fourth reading. He touches my heart and my soul to a depth where I just thank God for this beloved servant. Pretty good for someone who died more than 30 years ago! I can’t imagine what it must have been like to have known him or sat in his congregation or been taught by him. Even the way I was introduced to Howard Thurman has the divine written all over it. I was sitting in centering prayer when suddenly the faces of several older African-American women and men appeared in my vision. The faces sort of circles around until one man’s face came forward and the others faded away. A couple of months later I came across Pastor Thurman’s name during Black History Month. I looked up his writing and it pulled me in from the first. I bought recordings of him giving sermons and leading meditations. I bought his books. I learned everything I could about him. Yet it wasn’t until earlier this year that I realized that his was the face I had seen. I was, quite literally, awestruck. A few days after that revelation came a notice in a diocesan newsletter about a retreat in Sewanee, Tennessee, that would focus on Howard Thurman and contemplative practices. I was signed up and paid within a few minutes. I no longer ignore such synchronicity. I find such solace in his words, whether he is writing or talking about contemplative practices, racism and the disinherited (Martin Luther King Jr. considered him a mentor), humble ruminations about his own failings, his ecumenicism, and most of all, his deep, deep conviction that we are all united by a loving God who has a dream of whom we are to become. Thurman grew up in segregated Fort Lauderdale; his grandmother had been enslaved. He was the first African-American to matriculate at Colegate College’s seminary. He walked the walk, and he also maintained the gentle humility of someone who knows his own worth as developed in him by God. It also gave me great joy to see how Thurman’s witness often coincided with the great Bengali poet Rabindranath Tagore. I would read a passage by each man every morning and sometimes be amazed at the similar sentiments behind the Christian’s and the Hindu’s words. Tagore’s Gitanjali (Song Offerings) also came to me by chance long, long ago. They are short poems that can be appreciated by people of any and all (or even no) faiths. Yet fillest it ever with fresh life. And hast breathed through it melodies eternally new. And gives breath to utterances ineffable. Thy infinite gifts come to me only on these very small hands of mine. Film producer Arleigh Prelow has spent years making a documentary, “The Psalm of Howard Thurman,” which is now in post-production. She first conceived the idea after Thurman’s death and, amid other producing and directing work through the years, she has interviewed Thurman’s wife, Sue Bailey Thurman, and many other people who knew and loved and worked with him. Actor Sterling K. Brown provides the voice of Howard Thurman. Funds are still needed to complete the work and donations may be made here.